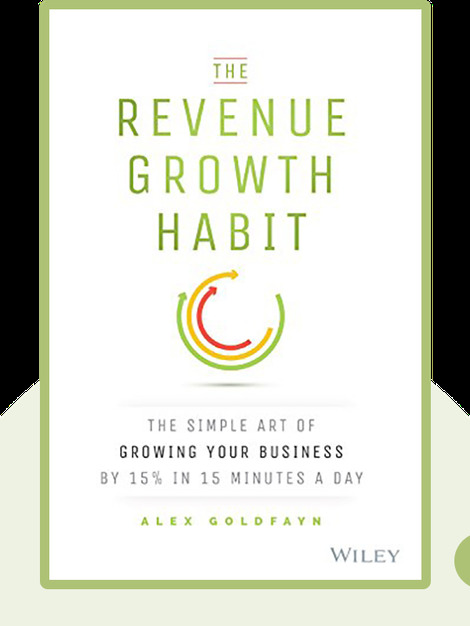 The Revenue Growth Habit (2015) is a collection of strategies for boosting your revenue and increasing your exposure to both potential and existing customers. These methods are quick, easy and cost-effective – perfect for delivering your message to the people who matter most. Alex Goldfayn is a marketing consultant, business coach and public speaker. By using his strategies, Fortune 500 companies such as Amazon, Logitech and Virgin Mobile have increased their revenue by an average of 15 percent. 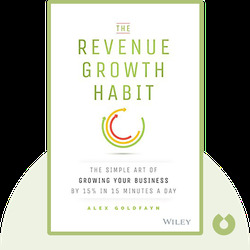 © Alex Goldfayn: The Revenue Growth Habit copyright 2015, John Wiley & Sons Inc. Used by permission of John Wiley & Sons Inc. and shall not be made available to any unauthorized third parties.